The Crowne Plaza Amsterdam City Centre is a four-star property situated in the historic heart of Amsterdam, just a stone throw away to Anne Frank House Museum, Berlage Stock Exchange and Church of Saint Nicholas and within 5 minute walk to the Central Station that offers easy access to many of the famous attractions in the area. Rooms and suites are equipped with air-conditioning, flat screen television, work desk, mini bar, in-room safe, hairdryer and en suite bathroom. 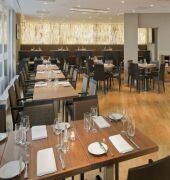 The hotel hosts a restaurant that specialize in international and traditional Dutch cuisine accompanied with wine whilst the lounge bar offers light snacks and an array of hot and cold beverages. Other services and facilities available at the hotel include the fitness centre with sauna, laundry and dry cleaning, baby sitting, valet parking, business center, meeting facilities and in-room dining service. 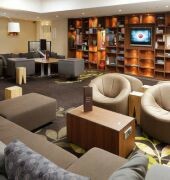 Schiphol International Airport is approximately 17 kilometers from the hotel. 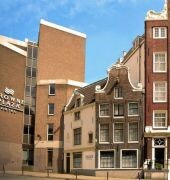 The CROWNE PLAZA AMSTERDAM CITY CENTRE is a Tourist, Business, City hotel hotel. Located in AMSTERDAM area. Shopping is right next door and the nightlife/restaurants are located in the hotel. 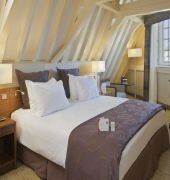 Descriptionclass="small" style="text-align: justify; font-size:11px;">The Crowne Plaza Amsterdam City Centre is a four-star property situated in the historic heart of Amsterdam, just a stone throw away to Anne Frank House Museum, Berlage Stock Exchange and Church of Saint Nicholas and within 5 minute walk to the Central Station that offers easy access to many of the famous attractions in the area. Rooms and suites are equipped with air-conditioning, flat screen television, work desk, mini bar, in-room safe, hairdryer and en suite bathroom. The hotel hosts a restaurant that specialize in international and traditional Dutch cuisine accompanied with wine whilst the lounge bar offers light snacks and an array of hot and cold beverages. 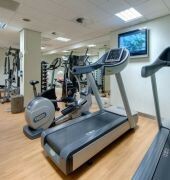 Other services and facilities available at the hotel include the fitness centre with sauna, laundry and dry cleaning, baby sitting, valet parking, business center, meeting facilities and in-room dining service. Schiphol International Airport is approximately 17 kilometers from the hotel.